What better way to kick off Film Independent’s 2019 Directors Close-Up series than by discussing the art—and craft!—of casting and coaching actors? 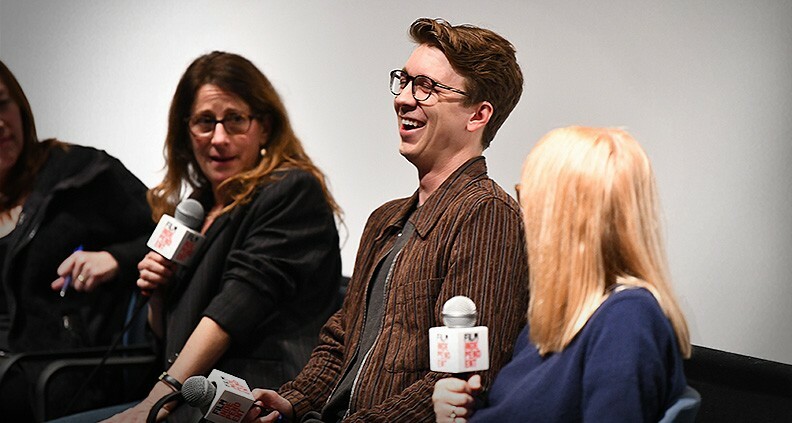 Especially courtesy of The Land of Steady Habits writer/director Nicole Holofcener and her longtime casting director Jeanne McCarthy, with Habits co-star Thomas Mann in tow to provide the actor’s perspective. 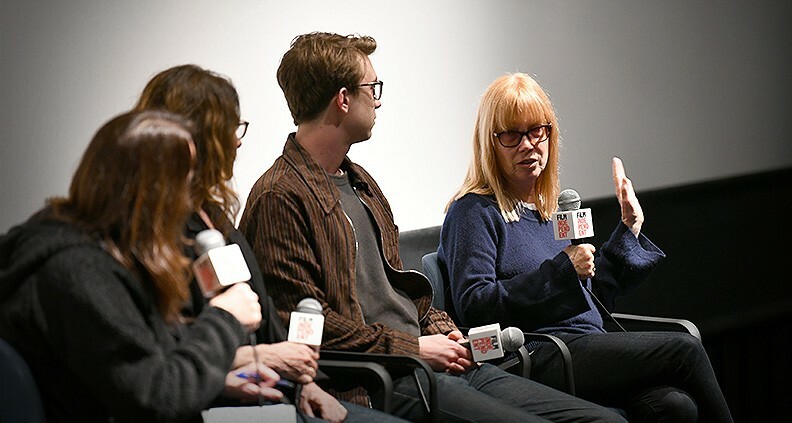 The January 30 panel was moderated by yet another critically acclaimed female auteur, filmmaker Karyn Kusama (Destroyer, The Invitation), who offered plenty of insight of her own. It’s no secret: casting is an absolutely crucial part of the pre-production process. The cast is, arguably, the backbone of your entire film. Without the right cast in place, the process of making a film, of bringing truth to your story, would be spoiled—wrecked, even. Watching the panelists interact, it was fascinating to observe the relationship between filmmaker, casting director and co-star. Attendees learned what it takes to bring realistic, memorable characters and stories to life on the big-screen. And if it looks easy, guess what? It’s not. Of all the things they watch for when auditioning actors, for Holofcener and McCarthy naturalism is key. Their preference is “down-to-earth-people who talk normally and don’t have a lot of mannerisms, and their heart is right out there,” said Holofcener. McCarthy added: “It’s mostly a gut reaction,” that alerts them to the fact that a performer might be the right person for the part. On working with directors, said McCarthy, “You usually read the script first and if the script really connects with you and you get excited about it, you meet the director and hope that the way you see it resonates with them.” And luckily, after working together time and time again on films such as Enough Said, Please Give and Friends with Money, this creative duo clearly share a similar taste, looking out for actors whose sensibility speaks to them both. As for working with first-time directors, McCarthy said, “I generally look at the producers [of the project] because depending on who the producer is, it could be a great experience or a really wonky experience,” adding that you could have a strong script and director. However, “If it’s a producer I don’t know or have faith in—I do tend to be kind of skittish” about working with first-timers. “I feel like I get Nicole,” said McCarthy. “We’ve worked together long enough so that we’re usually on the same wavelength.” In addition to friendly rapport, an effective casting director will learn to take into account a filmmaker’s likes and dislikes when it comes to seeking the most appropriate actor. And take it from Holofcener, first impressions are important. “I generally like to meet the people if I’m going to just offer them a role, and they generally want to meet me,” she said. “I can just get a sense of Oh, this is what it’s going to be like, no thanks, or Yay!’” A pleasant working dynamic is a must. “I think anytime you cast anybody, it impacts the story in a different way,” Holofcener said. “Like, if you cast somebody because you think they’re funny and [on set] they’re not really bringing any humor to the part, but they’re still good and it’s still good in the movie,” things can still work out. “But it’s just not what I was looking for,” she said. It’s important to recognize the value a performer might be bringing to the part—even if it’s not what was initially expected. Mann spoke highly of Holofcener, praising her for having “an illustrious career under her belt,” adding, “I’m always wanting to work with great directors, that’s the dream,” as an actor. Mann (Me, Earl and the Dying Girl; Project X) offered, “Meeting with [Holofcener], you just know you’re going to be a part of something that’s already good, whether or not you’re in it.” Mann captures perfectly the world of acting and auditioning, saying sometimes you give it your best shot and get lucky. But not every time. Whether you’re right for the role or not, great art will always be just that. Just remember: your story is impacted most by those who tell it. The Storytellers: Writers and Directors – The Landmark Theatre, 10850 W Pico Blvd, February 3. Featuring Jane Anderson (writer, The Wife, Olive Kittridge), Billy Ray (Captain Phillips, co-writer The Hunger Games) and Robin Swicord (director, Wakefield; writer, The Curious Case of Benjamin Button). Another Type of Narrative: The Truth about Docs – The Landmark Theatre, 10850 W Pico Blvd, February 13. Featuring Alexandria Bombach (On Her Shoulders), Talal Derki (Of Fathers and Sons), Bing Liu (Minding the Gap), Morgan Neville (Won’t You Be My Neighbor?) and Sandi Tan (Shirkers). The Independent Spirit: A Directors’ Roundtable – The Landmark Theatre, 10850 W Pico Blvd, February 20. Featuring Bo Burnham (Eighth Grade), Debra Granik (Leave No Trace, Winter’s Bone), Barry Jenkins (If Beale Street Could Talk, Moonlight), Tamara Jenkins (Private Life), Boots Riley (Sorry to Bother You) and Paul Schrader (First Reformed). Thrill Seekers: Directing Dynamic Drama – The Landmark Theatre, 10850 W Pico Blvd, February 27. Featuring Federico Álvarez (writer/director, Don’t Breathe, The Girl in the Spider’s Web); Floria Sigismondi (director, The Turn, The Runaways), more TBD. For more information about upcoming Film Independent events, click here. To learn how to become a Member of Film Independent, click here. The 2019 Directors Close-Up is sponsored by Premier Sponsors BREAKER, Directors Guild of America, Landmark Theatres, SAGIndie and The Sexton; Principal Sponsor Cast & Crew/Media Guarantors; and Supporting Sponsor Mississippi Film Office.